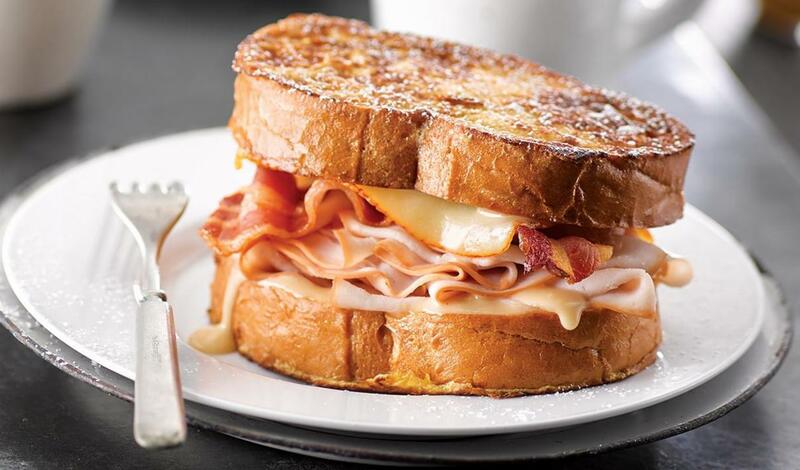 French toast with mayo, turkey, bacon and melted cheese. Pure Maple Syrup 3 T.
Spread 2 French toast slices evenly with Maple Mayonnaise (sub recipe below). Layer ingredients to build sandwich and heat under salamander or broiler until cheese has melted.